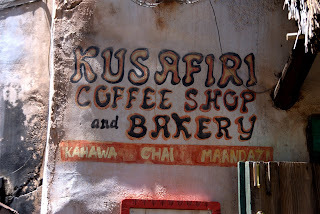 If you're at Animal Kingdom and looking for a deliciously sweet snack, you've got to head over to Harambe Village in Africa to the Kusafiri Coffee Shop and Bakery. They have three very distinct treats: the white chocolate elephant cupcake, the brownie paw, and the zebra cupcake. 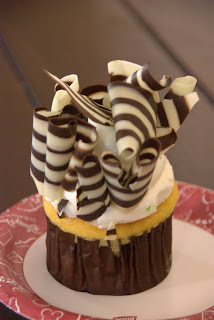 We opted to share a zebra cupcake and it was absolutely delicious! A word to the wise - go early. We stopped by shortly after lunch and got the last remaining zebra cupcake and they only had one more elephant cupcake at the time. Not sure if this was a fluke or if they usually run out so quickly, but better not to risk it if you want to enjoy one of these tasty treats!